Thread by @fogus: "Today's reading. books.google.com/books?id=IT4EA… It's apt that this issue has an obit for Tandy, the man who rescued Radio Shack in 1968... […]"
It's apt that this issue has an obit for Tandy, the man who rescued Radio Shack in 1968... a company now on the brink of death. It took Tandy 10-years to build Radio Shack into a company that would dominate its space for 10+ more years after his death. Going to Radio Shack in the 80s was truly a magical experience. Correction... 1963. RS had been in business for 42 years before Tandy came along! The company is approaching its 100th birthday. Back when a "hobbyist market" was actually a thing... though I guess we call them 'Makers' now? That last sentence _can't_ be correct! What about the earliest Lisp Machines and the B5000? More research around the distinctions needed. The basis for a future series perhaps?! That can't be Knuth's TeX right? There's a manual for DR TEX at retroarchive.org/cpm/archive/un… and it looks different. More research needed. An early attempt at Agile? Interestingly, these old ads LOVE to mention that they include text tools and utilities. Text processing must've been a Hellscape. I'm not familiar with the author David T. Craig. Any further information on his other works is appreciated. Reading some random paper I found. Just want to emphasize the whole "this is an age of information warfare" thing. "hey, social media is used as a weapon for governments to fight each other"
Today's reading: getting to grips w recent history of UUK, particularly in relation to 2014 consultation on USS funding. Placing these public links on Twitter for others to read, digest & use as we piece together last few years. BREAKING. RSI/CIG filed their response late last night. I will delve into it later today after I read it. Earlier this week, I mentioned the firm in this thread. 2. 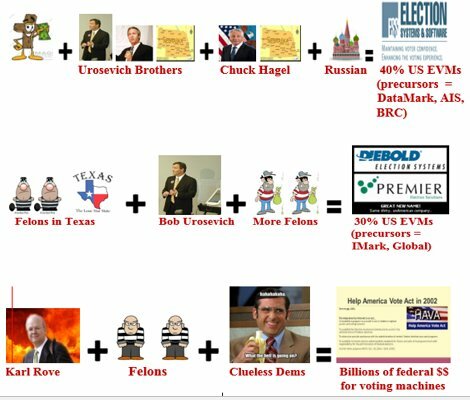 Two voting machine vendors have dominated US Elections since about 2002: Diebold Election Systems (renamed “Premier in 2007) and ES&S.